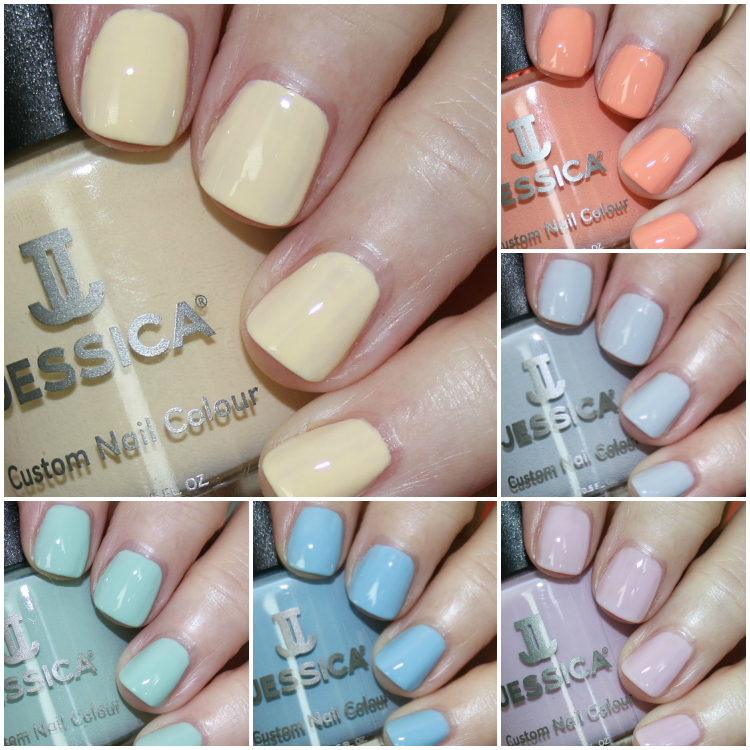 Today I’ve got the new Jessica Tea Party Spring Collection 2019 for you. 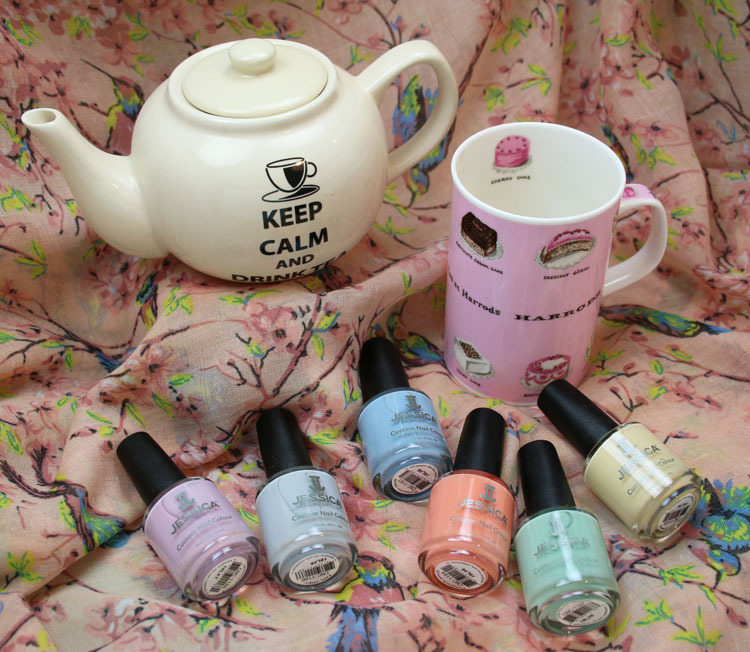 This collection features six new delicate pastel cremes. These are more crelly looking than the classic chalky/milky pastels. And amazingly, they covered really well with just two coats when used over a ridge-filling base coat. You can find the Jessica Tea Party Spring Collection 2019 on their site and in stores now. However I have a thing with this brand.. they do not last on me 🙁 I own a couple (maybe ten) and after 2 days tops they chip.. oh well..
loved that light pastel yellow anyway! The lavender cream is gorgeous! Alot of soft pinky shades pull orange on me, but I think this has enough blue it wont do that!